September is here and the past few mornings have been so much cooler here in Central Florida. Oh, my!! I just had to get fall on the ball and make something to tell the cooler weather its ok to come on down and stay a bit. And nothing smells better in the fall then my Pumpkin Chip Cupcakes with Cinnamon Cream Cheese Frosting cooking in the kitchen. Hubby and I aren’t real big cupcake eaters. Too much sugar. Love it, but it doesn’t like us. I usually make muffins and have shared with you my Pumpkin Chocolate Chip muffin version, but I wanted to surprise hubby with something sweet for a change. 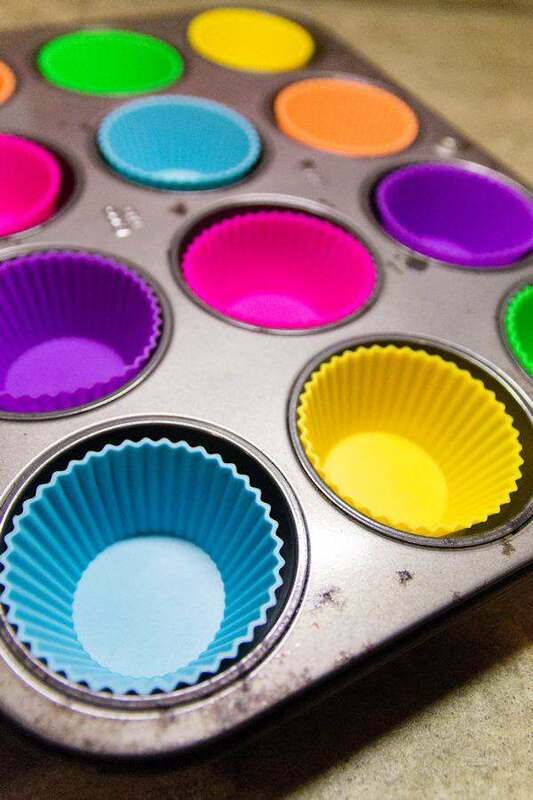 I also wanted to try a product called silicone baking cups. 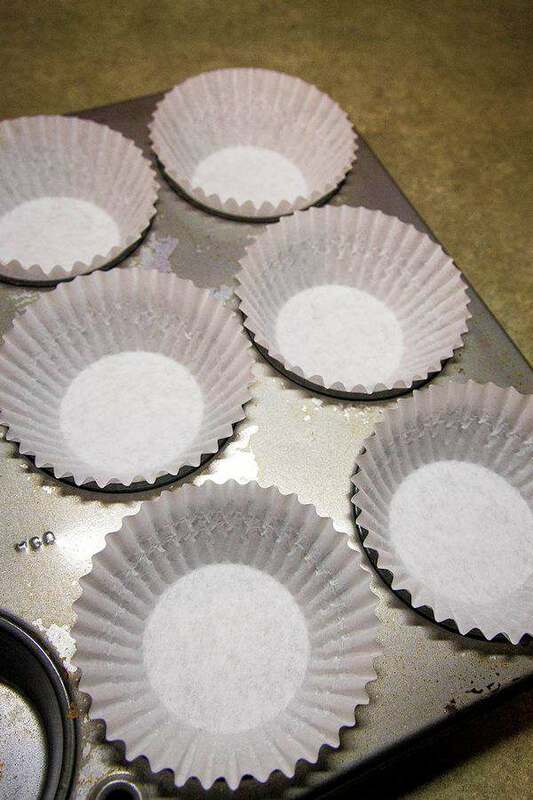 They are silicone muffin baking cups and since I am so old school and have only used paper muffin cups, I just couldn’t wrap my head around putting plastic in the oven and it not turning out well. Was I wrong. First of all, these cups are so bright and cheery. Don’t you think? Can you imagine having cupcakes made with these for a child’s birthday party? I think I much prefer bright colors to the standard white paper cups. Not pretty at all. Cost wise the silicone cups are a much better decision. All you have to do is make 10 dozen cupcakes, and you have paid for the silicon cups compared to paper cups and I’m going on the low side of the cost of paper cups. And I have to say, they sure do make my old and very well used muffin tin pan look so much nicer. I love the hot pink! One thing I noticed was you can hold the cup and eat right out of it with a fork. You don’t peel off these cups. If you want to ice the cupcake out of the cup, just pop it out. None of my cupcakes stuck to these silicone cups. And so easy to throw in the dishwasher to clean. Stack them back up and store away. I love it. Aren’t they pretty displayed on a cake stand? 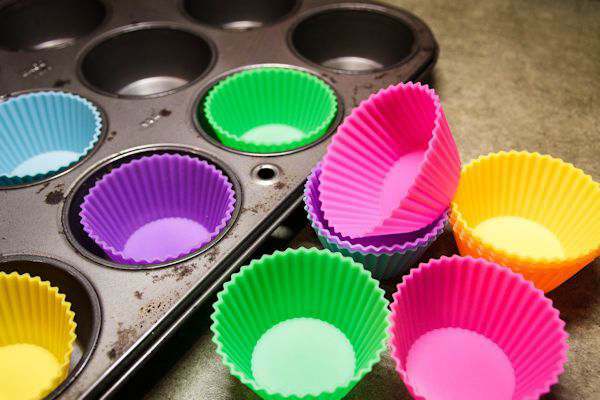 Next time try the silicone cups when making your next cupcakes. In a large bowl, beat eggs, sugar, pumpkin, and oil until smooth. Add dry ingredients and mix well. Fold in chocolate chips. Fill greased or lined muffin cups 3/4 full. Bake 16 to 20 minutes at 400 degrees. Mix well together all ingredients until nice is fluffy. If a tad bit runny, just story in the fridge for a bit until time to spread on cupcakes. These look so good! I pinned them! 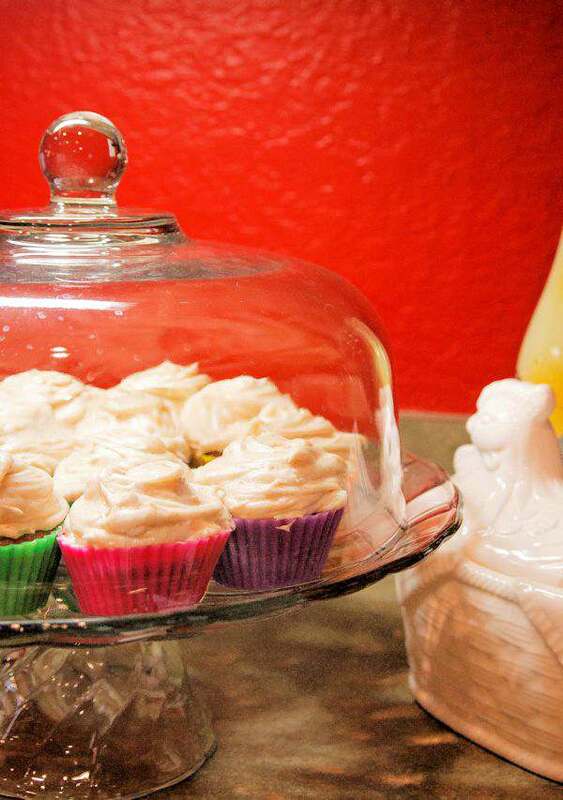 I love the silcone cupcake tins. Wow! Your Facebook post for this recipe is being featured on Ducks ‘n a Row this Friday as we do our Friday Facebook share! Thank you Sinea. 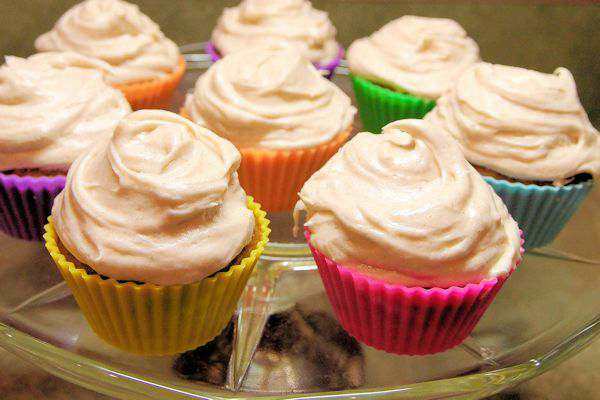 These are so good and the icing is so yummy. Yum!!!! I, for sure would love to eat these cupcakes. I love the colorful cupcake liners too! Pumpkin and cream cheese? You cannot go wrong! Thank you, Tammy! Love it. Thanks for stopping by. Aren’t those liners great!! These sound tempting! Thanks for linking up. 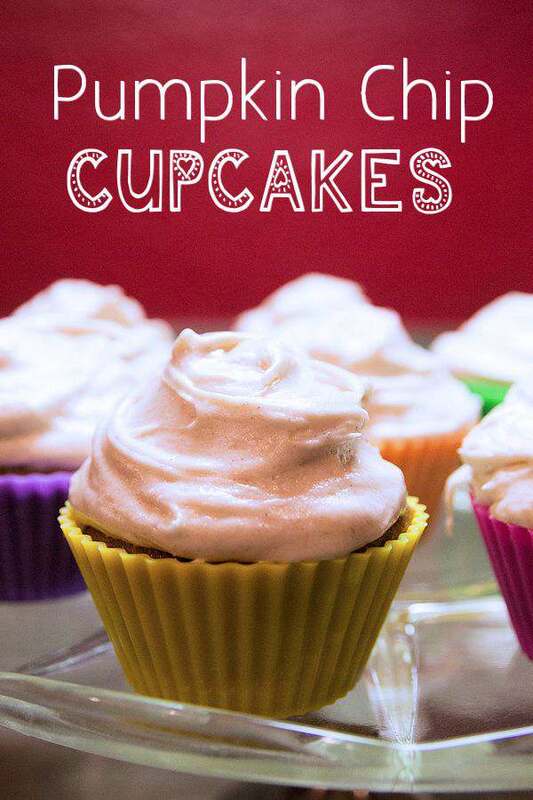 I’ve pinned your recipe to the Creative K Kids Tasty Tuesday pinterest board. We hope you’ll join us again for tomorrow’s party. Thank you Anna for stopping by.